Your days of financial struggle are over. 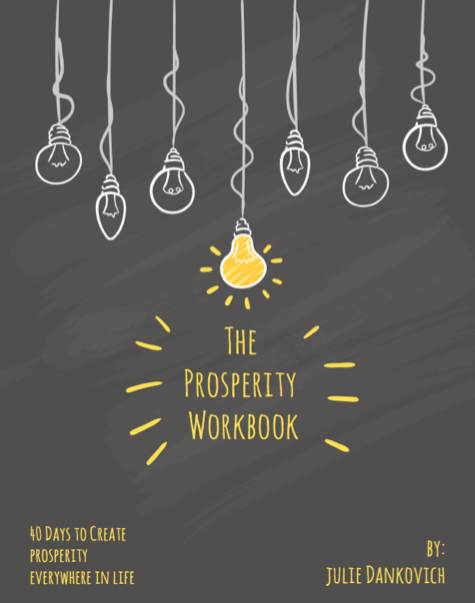 This 40-day prosperity course is a real life-changer. What if you could completely change the direction of your life, have more money than you need, become happier than you ever knew possible, and could create everything you’ve ever wanted? What kind of life would you have if you could wake up each morning high-fiving the world, excited to start the day because money was no longer a concern? It’s never too late to have the life of your dreams. Never. It doesn’t matter how many times you may have botched things up in the past. It doesn’t matter if you’ve suffered significant financial disasters, like a bankruptcy or a home eviction. Financial abundance is an internal matter, and you’re going to learn why. A Course in Prosperity is a prosperity immersion program that utilizes thought-provoking approaches to financial freedom and independence founded in a variety of disciplines-neuro-science, psychology, quantum physics, and spirituality. You’ll implement a daily routine using the techniques provided to override the old, limiting money beliefs that have been running rampant in your mind. It takes commitment and intentional effort to move in a new direction and alter your life permanently. Commit to the training provided through this prosperity program, and you simply cannot lose. Do the course work provided every day, without fail, to keep your focus where it needs to be: on abundance. You’ll begin to live each day with efficiency and clarity of purpose. 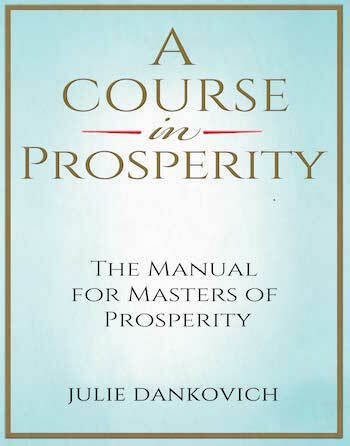 A Course in Prosperity provides you the access for true financial transformation. By making the time and taking the time, your prosperity immersion work will be scheduled into your daily routine.You’ll learn how prosperity works and how to create it. You’ll discover ways of transcending and transforming the limitations that have kept you stopped in your finances. Prepare to have your self-sabotaging, self-imposed limitations blown away. You’ll learn how to apply a superb evolutionary strategy that profoundly alters the way in which you live and experience abundance in all areas of life. You’ll experience bursts of profound wisdom, and you’ll ignite your life with empowering concepts. We offer proven ways to change your life, master your mind, and create an entirely redefined view of money. A new financial mind set will emerge. Your income will increase. You’ll experience sudden and consistent windfalls of money. You’ll become lucky in all facets of life. You’ll feel exceptionally happier on a daily basis. Happiness breeds happiness, and happiness breeds abundance in all areas of life. Prepare to have your world rocked. Extraordinary peace of mind will be yours. You’ll become quite adept at creating anything you want in life, and it will blow your mind. You’ll stop planning and start executing, and high-caliber performance will be the result. Your life is yours to control, to change, and to resolve what does not fit. The enemy is ourselves, not anyone else. We’re constantly making choices and decisions that determine what our future will be, and we’re making choices constantly whether we’re aware of it or not. During the next 40 days, you’ll make a provocative inquiry into your issues with money. And you’ll unlock your ability to focus on outcomes, not your income. An extraordinary life—filled with abundance and prosperity—is ready and waiting for each and every one of us. THRIVE! 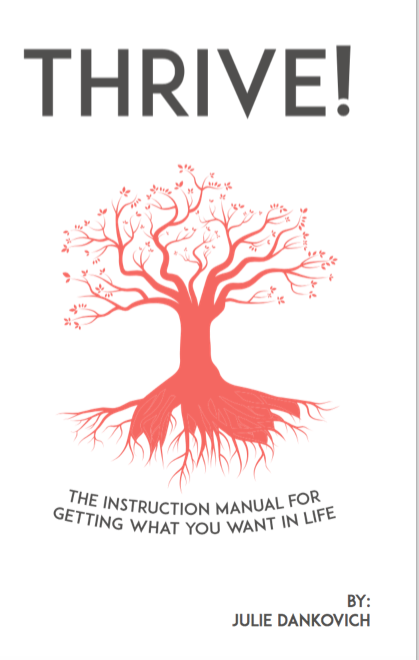 Designing Your Future: The Instruction Manual for Creating What You Want in Life.